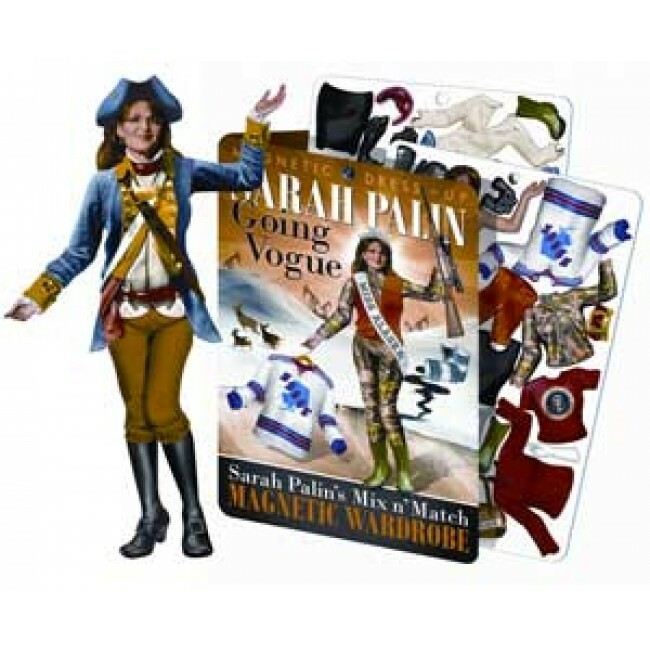 Sarah Palin has worn many hats, and many of those hats are included in this incredible Sarah Palin Going Vogue Magnetic Dress-Up Set. Yes, now you can dress Sarah up however you like (or dislike) her most! Each kit comes with a wild assortment of outfits and accessories so you can Mix n' Match to your heart's content. You can have Hockey Mom Sarah in jersey and skates. Or turn her into Moose Hunting Sarah, with camouflage outfit and rifle. Or put her in a huge tea pot for Tea Party Sarah! There are hundreds of possible combinations, each one as unpredictable and frightening as Sarah herself.